Having read The Wolf Wilder I doubted that Katherine Rundell’s next offering could better that novel. I was wrong. In The Explorer we are exposed once again to her splendid storytelling. The ten-year old me would have loved this book. The book relates the adventures of 4 children – and a sloth – who travel through Amazonia after their plane crashes. En route they have potentially dangerous encounters with pirhanas, caiman and potentially killer ants. We are quite a few chapters in before we meet the explorer. We never learn his name, but we do discover that he is a survivor who has snubbed the outside world. Initially, he seems intolerant of children and is frustrated by the arrival of this motley crew of juveniles into his world. Critically, when it matters he is able to devise an escape plan for the youngsters which forces him to disclose a secret. Ultimately, he sacrifices his potential escape route. I was torn towards the latter pages of the book. I wanted the tensions to resolve – would the children escape? Would Max survive? What would happen to the explorer? – but, at the same time, I didn’t want this glorious reading experience to end. This is a big read for children, but they will relate readily to the characters in the story. They will be thrilled by the tension and gripping story of survival and, like this reader, they will have some sense of sadness when the final page is turned. This is a must-read for middle grade children. Katherine Rundell has shown that she writes thrilling, well-paced tales complemented by brilliant characterisation and magnificent description. I cannot wait for the next offering from the Rundell stable. 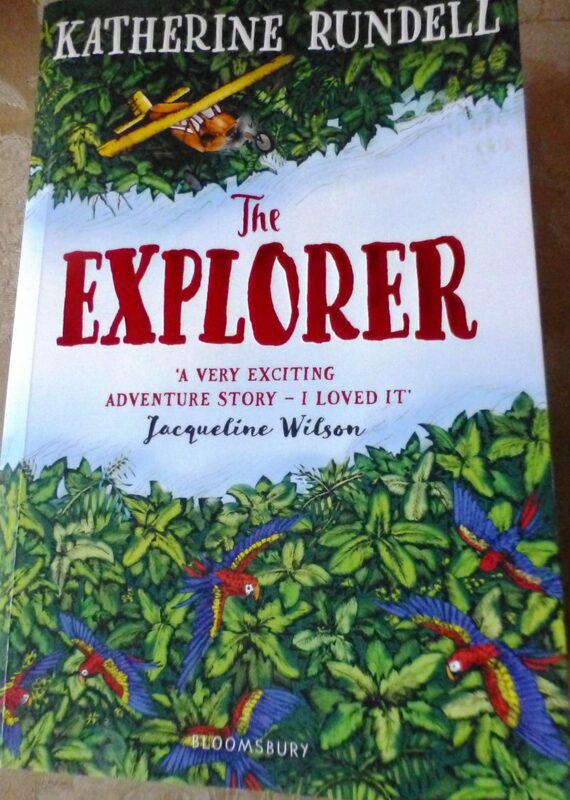 ‘The Explorer’ is published by Bloomsbury.